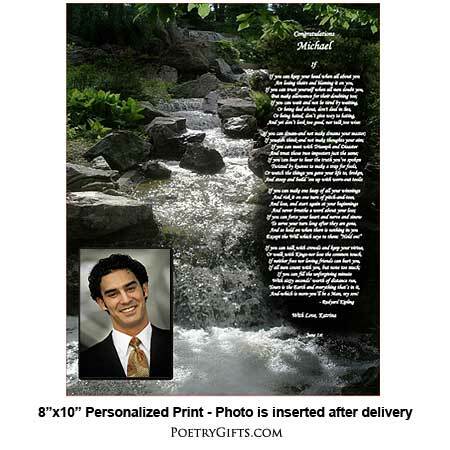 Home > Inspirational Poems > Kipling's Inspirational Poem "IF"
This famous poem was written by Rudyard Kipling. It makes a unique inspirational gift. Personalize with names and optional photo area. 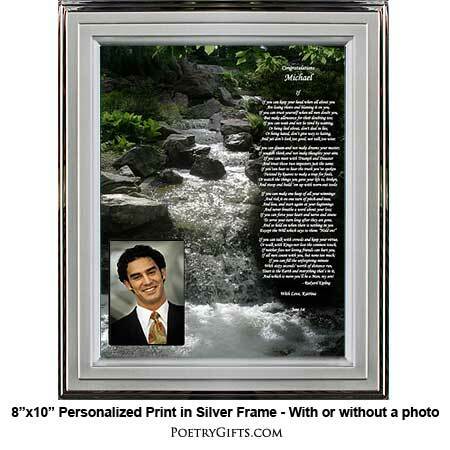 Inspirational gift to inspire someone you know. Unique gift, for occasions like a graduation, birthday, confirmation, new job, the boss' birthday... 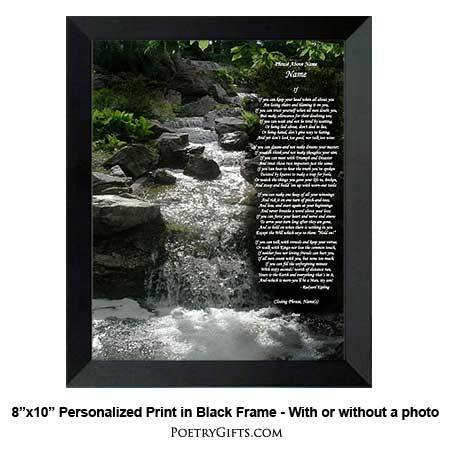 Unique personalized gift! 3. 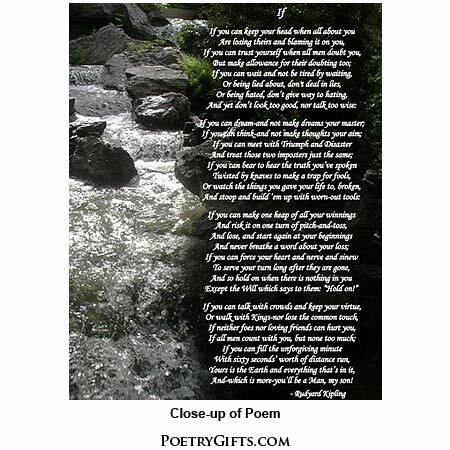 Closing Phrase and Your Name(s) (as seen after poem) - (Examples: Good Job, Mr. Daniels; With Love, Mom & Dad; etc.)"